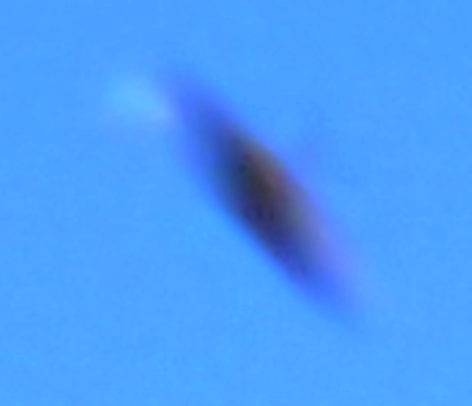 Looks like a solid object in photo, reflective, with tail/aeroplane fin. 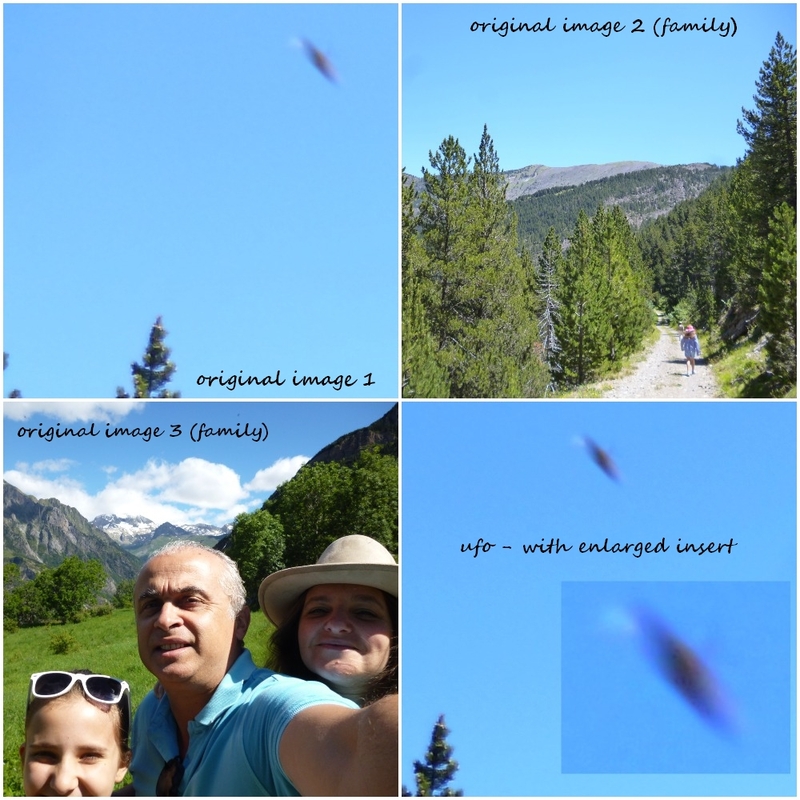 July, 9, 2014, me my wife and my daughter, walking in a trail near Cerler, Pyrennees, after lunch, shiny day , about 1800 m high. We see no airplanes, helicopters or any other machine, at the local and all the way. The mountain was totally silent, very quiet - only butterflies and bugs. I was very puzzled and a little upset by the photo! I send the original photos. The shot with the enlarged crop insert was created by BEAMS for ease of viewing and included at the end of set; we added text to the images also. BEAMS Comment: Note the feint, spinning top-like appendage, smack, bang in the upper-center of object; we've seen the type of feature before in some other UFOs. Also, notice its classic angle of tilt! Finally, now go compare the above, with these unidentifieds from 2009 & 2010 regarding the axis-type 'spindle' appearance on top.